We have waited a long time, and now like London buses, or English summer rain, it is all coming at once. 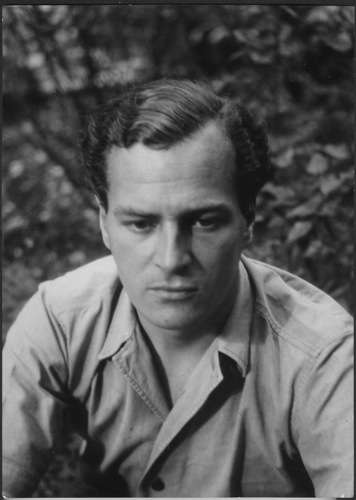 Following on from her work on Patrick Leigh Fermor’s biography, An Adventure, to be published in October 2012, Artemis Cooper will pull together Paddy’s work on Volume Three ready for publication in autumn 2013. It is perhaps not well-known that Paddy started to work first on the events of Vol 3. Much of it was written before his defining work on A Time of Gifts and Between the Woods and the Water, the other two volumes in the trilogy. Artemis Cooper tells me that although “it does not have their high polish, it does provide an extraordinary insight into Paddy the writer, and the interplay of his memory and imagination.” and whilst “it’s not going to sound like ATOG or BWW”, I am sure it will be one of the most anticipated publication events of next year. Whilst we wait we can sing along …. This entry was posted in A Time of Gifts, Between the Woods and the Water, Volume Three - The Broken Road and tagged A Time of Gifts, Artemis Cooper, Between the Woods and the Water, Freya Stark, Patrick Leigh Fermor, Rascal Flatts, The Broken Road on July 19, 2012 by proverbs6to10. … and of course Colin Thubron who is co-editor 🙂 Richard, we would all love to hear any anecdotes that you have around the making of that film and meeting Paddy. If you have the time. I really wait for the 3rd volume, I asked so often at publising house DÖRLEMANN were the german translations are published. And I wonder why the astonishing modern books written by Patrick Leigh Fermor are not translated in Romania, the country he loved so much, and where I am so often for my radio works. Grit, so glad that you are looking forward to Vol III as well. Only eighteen months ot wait we hope. Regarding translation into Romanian you are not the first to say this and I have spoken to some people in Iasi about it. It is always worth raising with people out there, particularly if you work in the media. Finally I can visit Bulgaria also! It would not feel right not to have PLF as a reference for a visit, so I have put it on hold! :-) I first visited Hungary and Romania inspired by his book, and I have just returned from another visit, this time to a Saxon village. I don`t think I would have ended up there without PLF and his descriptions of the wonderful church-fortresses and villages the Saxons built, and now have largely left. Tore, I think those Saxon villages are amazing too. We visited last summer – Malancrav, Viscri, Prejmer etc – and I was so impressed I am going back very soon. Wonderful news. Now the journey will be complete. That there is more to come from the hand of Patrick Leigh Fermor is nothing short of thrilling. And only 80 years (!) since he embarked on his journey! This is so exciting. I’ve already pre-ordered the biography. I wasn’t sure this would ever happen. From whom did you pre-order? I cannot find anyone who is taking orders. Amazon in the UK. It came out a few hours ago. I have started to re-read ATOG and have BTWW ready to start afterwards so should be well prepared! Plus the biography, An Adventure!